Goal: Increase distribution, sales of this emerging AOP tier of wines from Sud de France. CIVL hired Benson in late 2008 to complete a re-branding, initiate a more aggressive press campaign and to reverse a slide in exports to the U.S. over the previous years. 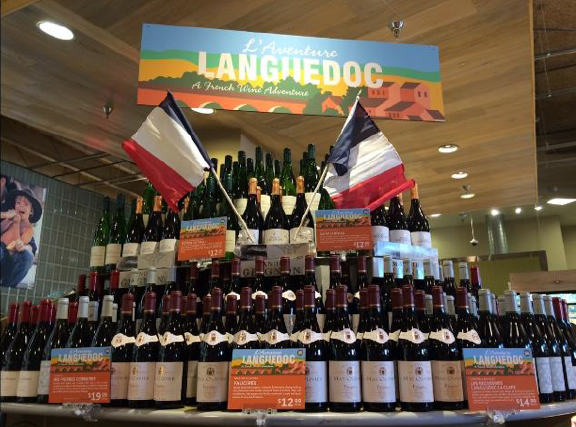 In 2012, Benson expanded the program with trade and social media initiatives, including “L’Aventure Languedoc,” a comprehensive, month-long consumer promotion incorporating digital media, social media, advertising, blogger and press tastings, and in-store tastings and restaurant promotions. The program continues. This is really a sales campaign. Benson sells the campaign directly to on/off premise buyers, who create their own “adventure” using in-store tastings, wine dinners, BTG flights, etc. In return, a digital ad campaign drives consumers to participating accounts. Everyone wins. After years of flat or declining sales in the U.S., export volume has risen under Benson’s campaign by a factor of 5 while x-cellar revenue has risen by a factor of 8. 2017: AOP Languedoc exports were up 26% by volume at 733,000 9L cases total, and value rose even more, 36%. This is second in French AOP export growth only to Provence.